In 2017, we were able to reach 33 primary schools, providing them with the following programmes: Enterprise Development, with a focus on Science, Technology, Engineering, Mathematics, Manufacturing and Design (STEM2D) careers, Environmental Entrepreneurs, and More than Money. Students from 49 high schools participated in the following programmes: Entrepreneurship Academy, a premium programme spanning up to eight months, Enterprise, a flagship programme up to 15 weeks, Be Entrepreneurial, Success Skills and My Money Biz. 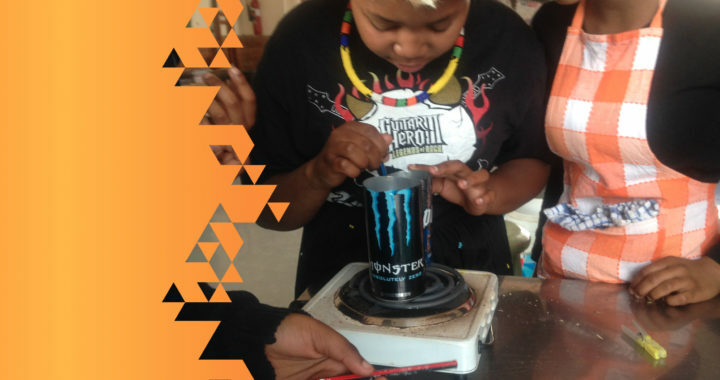 We partnered with 14 community centres to run the premium Youth Enterprise Development Programme targeting out of school youth in six provinces: Gauteng, North West, Limpopo, KwaZulu-Natal, Eastern Cape and Western Cape. We also ran four Enterprise Programmes for out of school youth in Balfour, Mpumalanga. In total were able to reach 6 661 students through 152 programmes. Through the programmes completed we have reached out to students with 11 827 interventions on the three JA pillars of Entrepreneurship, Work Readiness and Financial Literacy. The organisation has been able to maintain a fairly balanced presence in the three groups that we target: out of school youth, high school and primary school learners. In the following provinces we continued to have programmes targeted at all three groups: Gauteng, North West, KwaZuluNatal, Eastern Cape and Western Cape. In Limpopo there were out of school and high school programmes while in the Northern Cape we had coverage in high schools and primary schools. Lastly, in the Free State we had a presence in high schools. The learners who enrol for this 20-week programme, with the option of a further six months of mentorship, participate in an experiential programme that enhances their ability to proactively engage in their economic success. In addition, we are proud to announce that this programme has been accredited by the Services SETA at NQF level 4. Thus, learners who complete the programme successfully and are assessed as competent, receive an accredited certificate and credits towards lifelong learning. JA South Africa is able to reach out to marginalised youth in remote areas through our collaborations. Partnering with community-based organisations enabled us to run 13 successful Youth Enterprise Programmes that reached 393 graduates. These graduates successfully completed a 20-week experiential entrepreneurship programme, empowering them to start up and run real businesses, while receiving ongoing coaching. 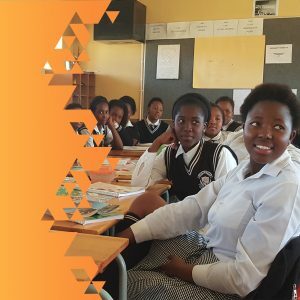 Through the support of Mastercard, six of the 13 programmes were targeted at women between the ages of 18 and 35, in Gauteng, Limpopo and Western Cape. These interventions helped the participants to see how they could create sustainable businesses that tackle the socio-economic challenges facing their communities, whilst rising to the challenge of youth unemployment. In so doing, graduates are more able to take advantage of available economic opportunities. On completion of the 20-week enterprise training, the graduates are mentored for six months. The aim of the mentoring programme is to link graduates to support structures that will nurture their businesses, if in the start-up stage, or help sustain those that are already in business. In this way, a platform is created for the students to access opportunities that further their growth aspirations, such as gaining access to business finance as well as study and placement opportunities. 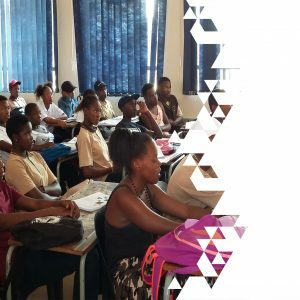 The Academy Entrepreneurship Programme provides a pathway for learners in high school to either become entrepreneurs or become more employable. The course focuses on experiential entrepreneurship, where the students create a product or service and go through all the phases of starting and running a business. In addition, they also gain financial literacy and workplace readiness skills. 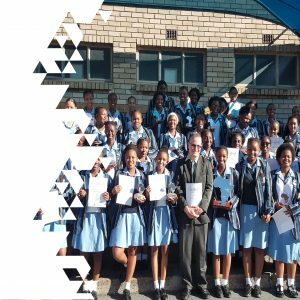 Through the strong and longstanding partnerships with our sponsors Investec and Transnet, we were able to impact 680 high school learners with this programme, comprised of the three interventions. 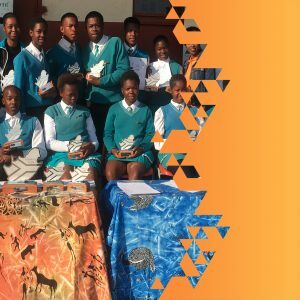 These learners started and ran 39 businesses, where they appointed their peers into management positions, conducted market research for their products or services, and participated in business activities, over a period of eight months. We value the collaboration of the 20 host schools where we ran the Academy programmes nationally. Our close relationships with these schools and their educators allow us to make progress on tackling the priorities of youth development by preparing learners to proactively shape businesses or career pathways. Some of the student businesses that were established during the programme made a turnover of more than R18 000 over the eight-week phase of running their businesses. This goes to show the possibilities for economic sustenance that entrepreneurship provides. 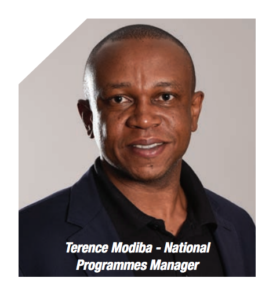 The Entrepreneurship Academy Programme has also been accredited by the Services SETA at NQF level 4; enhancing the impact for participants who receive credits. 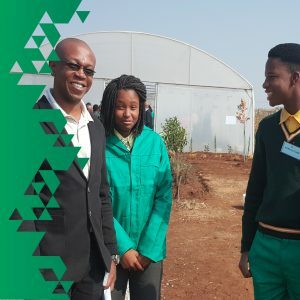 The Enterprise Programme is JA South Africa’s flagship entrepreneurship programme for high schools, affording students in grade 10 and 11 the opportunity to experience all the phases of running a business. The students conduct market research before creating their identified products or services, appoint managers and handle all the operational business activities. Learners numbered 867 and 52 business were created, providing a platform for participants to gain practical entrepreneurial and financial literacy skills. These interventions were made possible by the collaboration of the 22 schools that hosted the programme nationally, as well as the educators who were identified to champion the programme in the participating schools. Though this programme is traditionally run in school, in the year under review we also ran four Enterprise Programmes with out of school youth in the Balfour area. In 2017 we ran one Enterprise Programme on a digital platform and we are aiming to run more on this platform in 2018, where students are instructed via interactive e-learning. 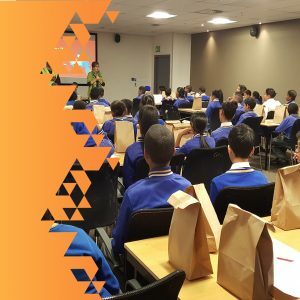 The Be Entrepreneurial Programme continues to serve as a good foundation for students in Grade 9, exposing them to the skills required to build a business and put together a business plan. In 2017, we had the opportunity of running the programme with the Gauteng Department of Education’s school reorganisation task team, which coordinates the roll-out for the Schools of Specialisation in Gauteng. We partnered with them to run a programme at the Magaliesburg Agriculture School, with a group of selected learners from three different streams: Agriculture, Management Sciences and Hospitality. These students presented their businesses to the MEC of Education in Gauteng, during the launch of this school as a School of Specialisation. We would like to celebrate our partnership with HSBC, which has funded the More than Money programme for nine years. A new development is a one-day version of this programme, which usually spans five or six sessions. The More Than Money in a day intervention is a compressed financial literacy activation that can be conducted with students from Grade 5 to 7. The revised programme will be rolled out to all participating schools and the after-care centres we partner with, in 2018. We reached 3659 students in 33 primary schools nationally, who were educated on financial literacy. 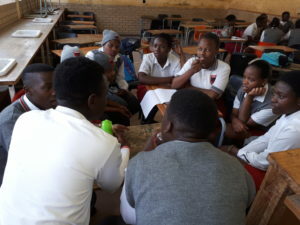 The platform for JA More than Money in a day was also implemented successfully in collaboration with ABSA and the Boys and Girls Club in Protea Glen, Soweto, to celebrate Mandela Day. 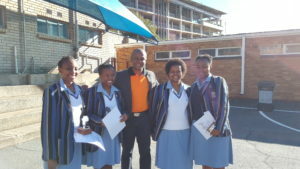 Through collaboration with the Gauteng Department of Education curriculum design team, we implemented the Enterprise Dynamics Programme, with a focus on the Science, Technology, Engineering, Mathematics, Manufacturing and Design (STEM2D) curriculum, at Elethu Themba Public School in Eikenhof, Gauteng. The Grade 7 students who participated in the programme also made it to the finals of the Gauteng Economic and Management Sciences Olympiad. This is the second year running that Johnson & Johnson has sponsored the programme in Gauteng and the Western Cape. 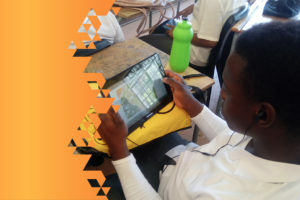 The promotion of STEM2D in two primary schools, through this intervention, is driven by Johnson & Johnson staff, who volunteer to help facilitate the programme by attending the sessions with the learners.